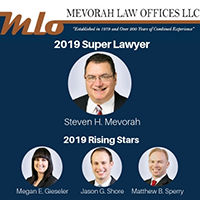 Firm founder Steven H. Mevorah was named to the Super Lawyers list for the fifth consecutive year. The firm focuses their practice on divorce, family law, personal injury immigration, workers’ compensation, criminal defense, bankruptcy. The honors recognize the DuPage County firm’s extensive experience and success in the areas of divorce and family law; personal injury; immigration; workers’ compensation; criminal and traffic law; and bankruptcy. Firm owner Steven Mevorah was named to the Super Lawyers list for the fourth consecutive year. He focuses his practice on family law, personal injury, immigration, workers’ compensation, and criminal defense. 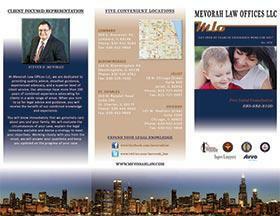 Mevorah Law Offices LLC represent clients throughout the Chicago area and Illinois in the areas of divorce and family law; personal injury; immigration; workers’ compensation; criminal and traffic law; and bankruptcy. The firm’s attorneys have a proven track record of successful verdicts and settlements for individuals, families, and businesses. 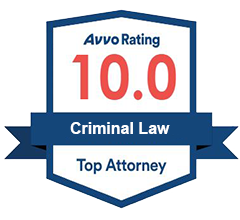 Clients can consult with one of the firm’s attorneys at any of its five offices located in Lombard, Bloomingdale, Joliet, St. Charles and Chicago. To schedule an appointment, call 630-932-9100.